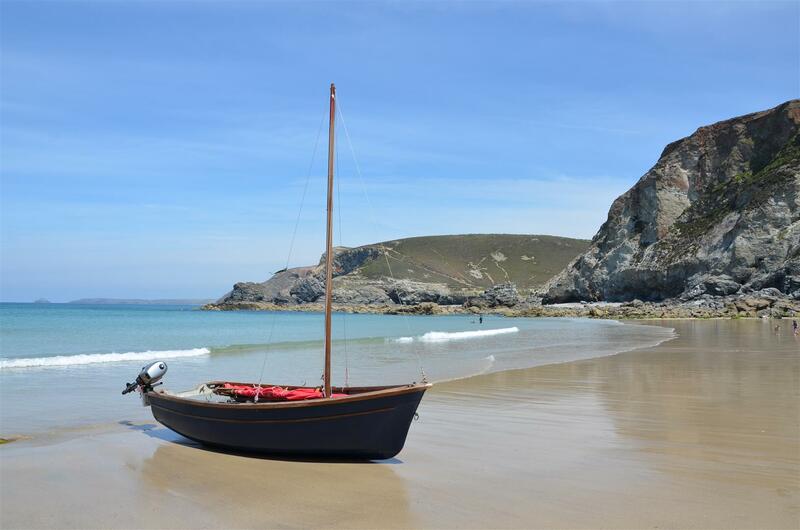 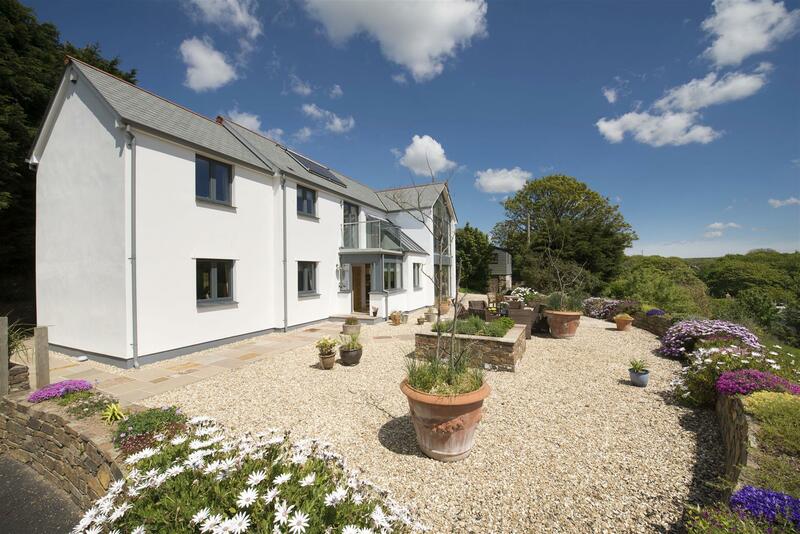 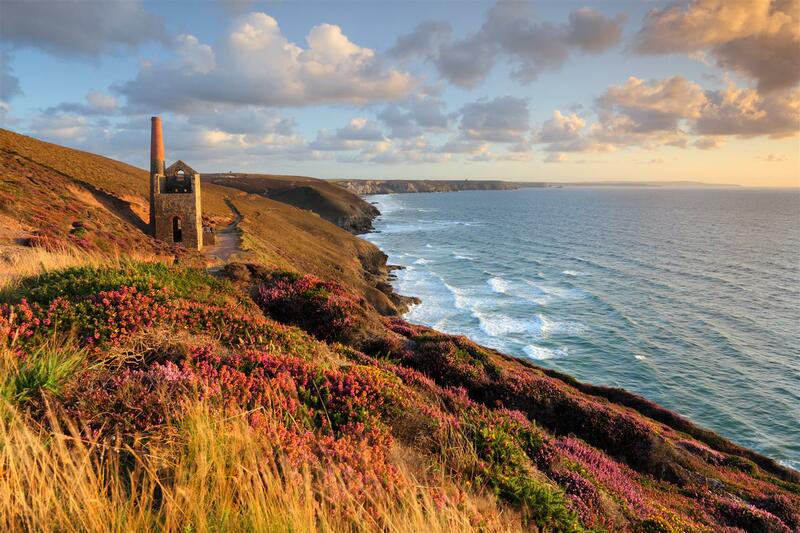 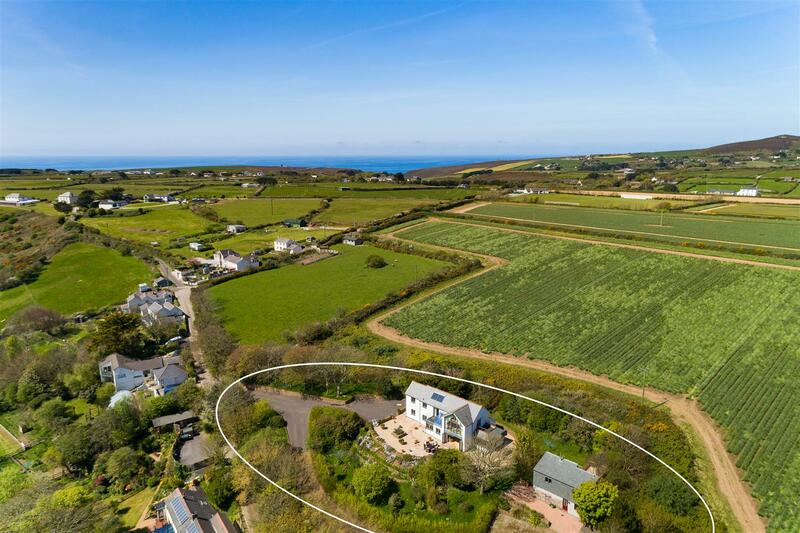 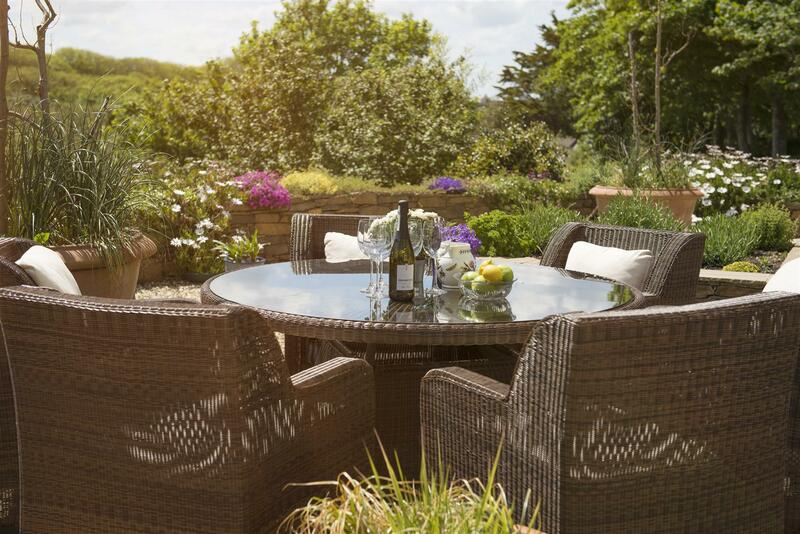 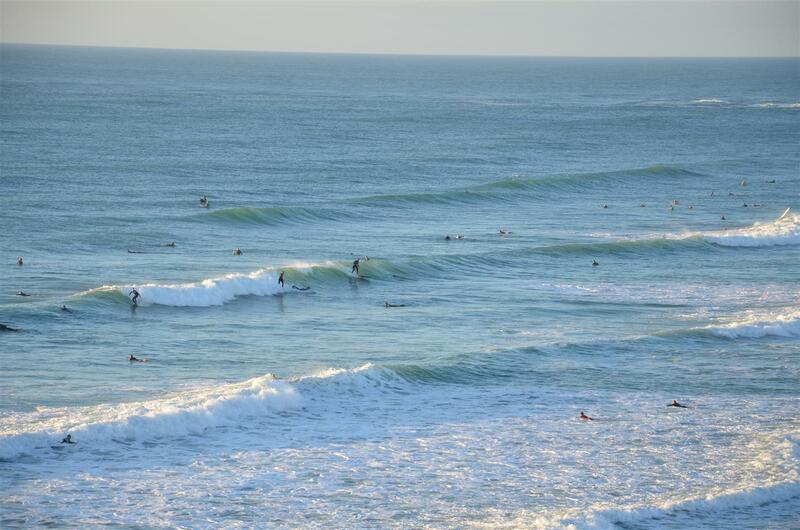 Penvean is an idyllic contemporary coastal residence, located just a short distance inland from the iconic National Trust owned Chapel Porth Beach which is situated between the highly sought after coastal town of St Agnes and the popular village of Porthtowan. 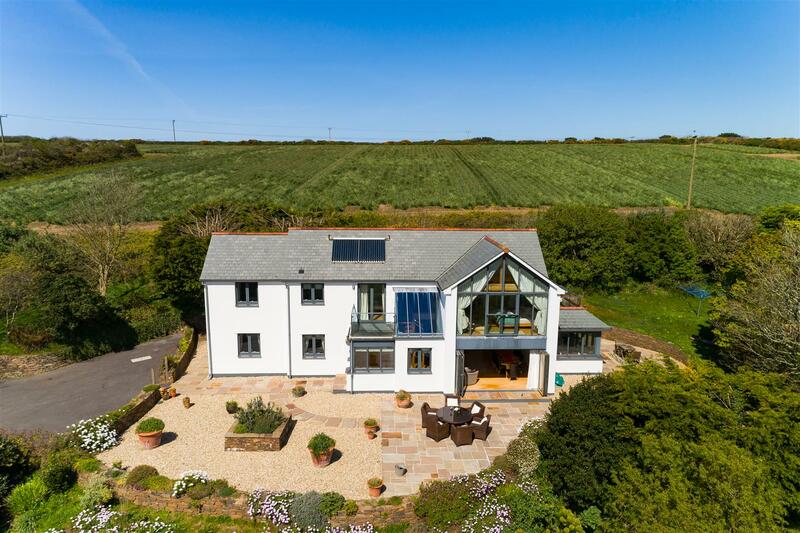 The house offers the perfect scenario for an owner who seeks to be located within a more tranquil semi-rural setting but that is just moments from the coast. 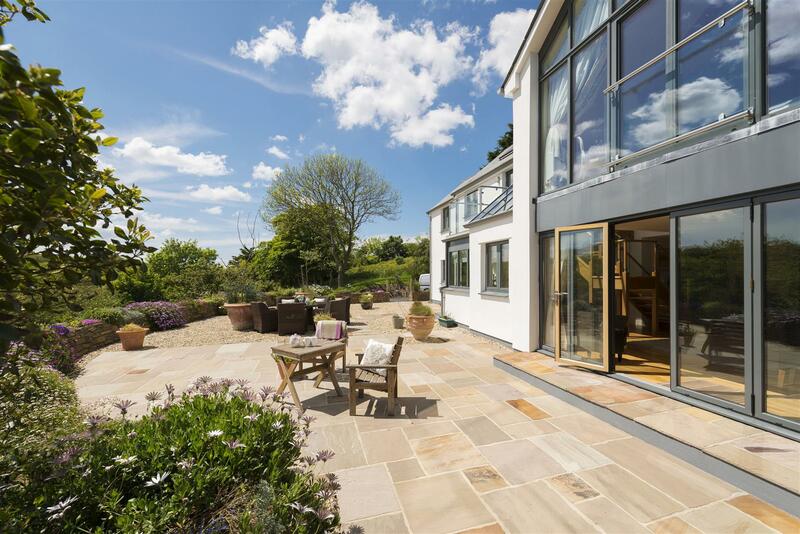 The house nestles in to a gently sloping southerly facing hillside plot which due to its slightly elevated position, enjoys the most wonderful rural outlook across neighbouring countryside. 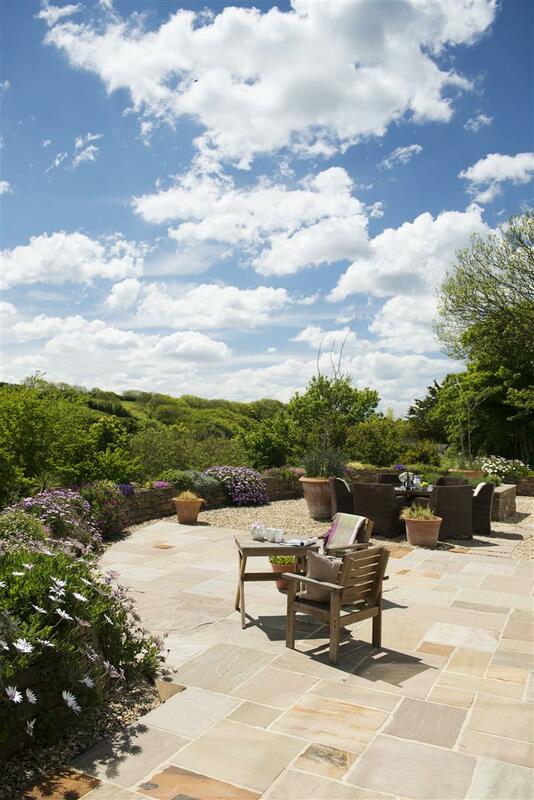 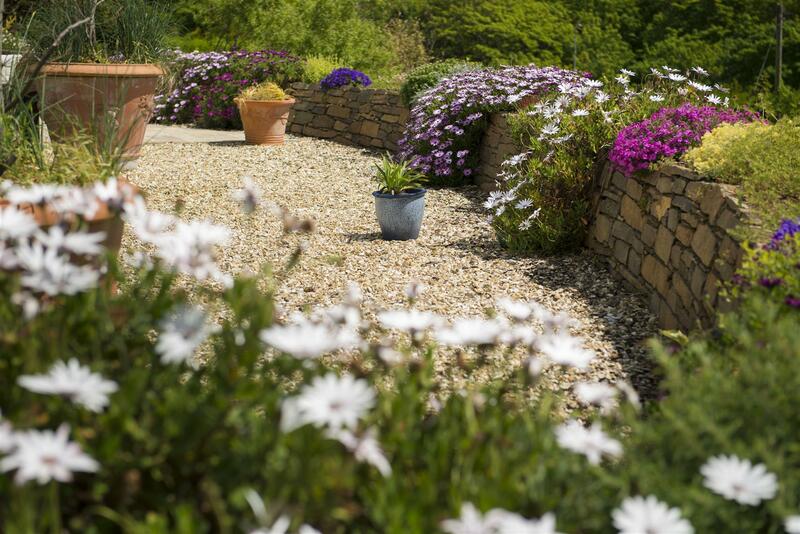 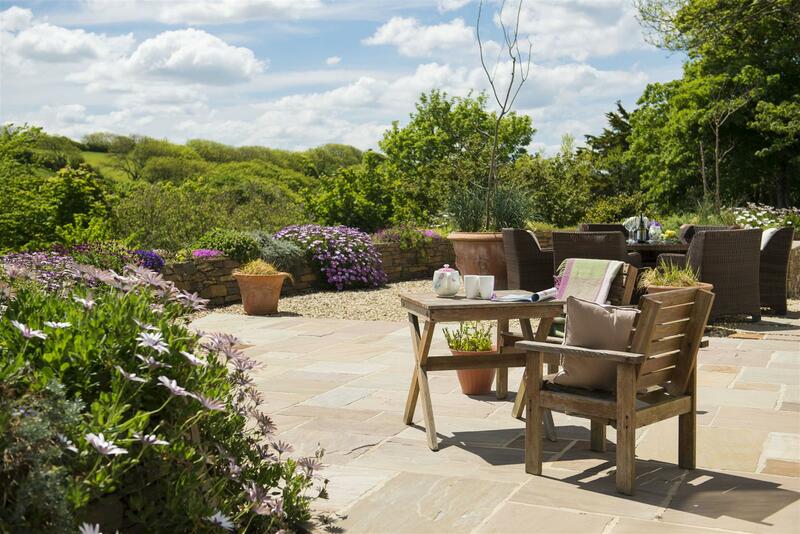 The house is set within large gardens and grounds that measure circa 1 acre in total. 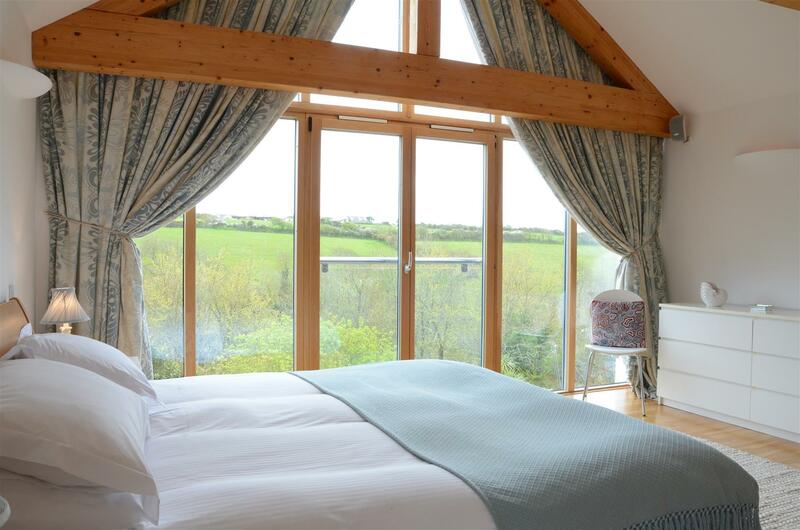 The accommodation is exceptionally well designed throughout, maximising natural light from its many southerly facing windows and doors. 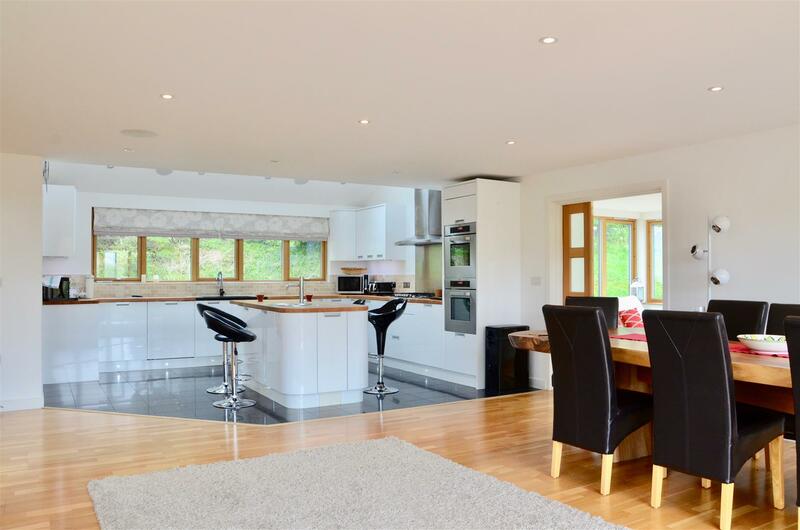 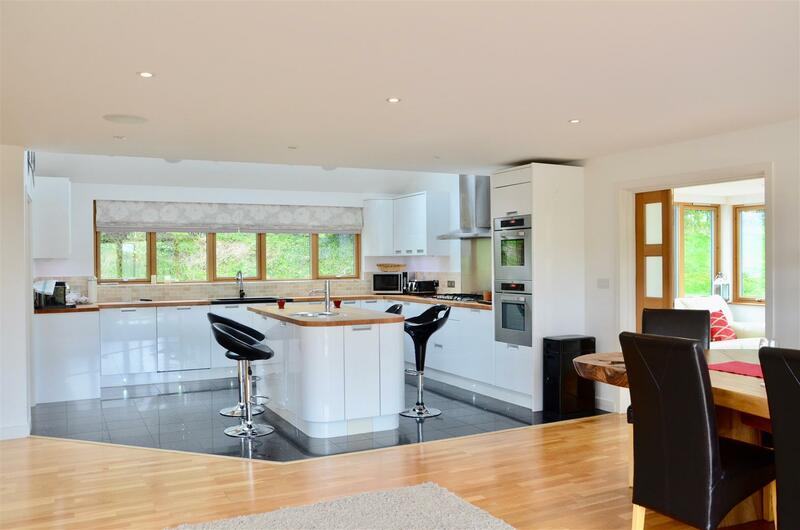 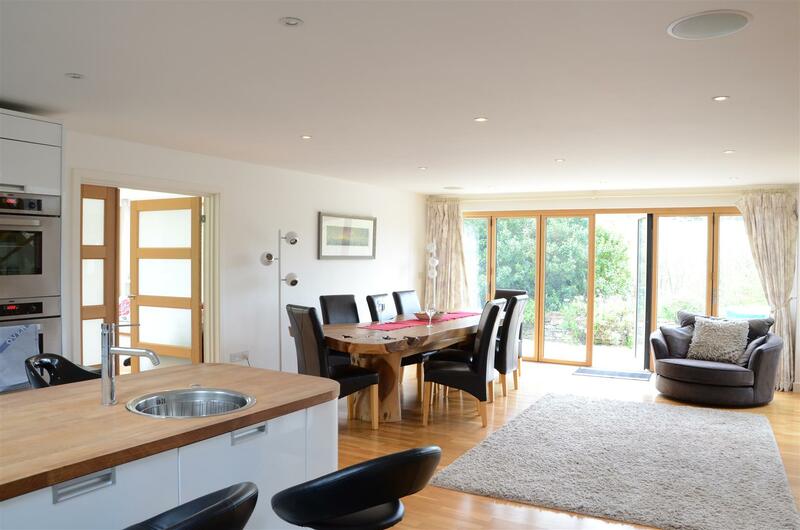 The reception spaces are simply superb and combine to provide the most perfect and sociable entertaining areas, with the main living area being the hub of the house as it is completely open plan to the kitchen area and it flows out on to a large sun terrace through tri-folding doors. 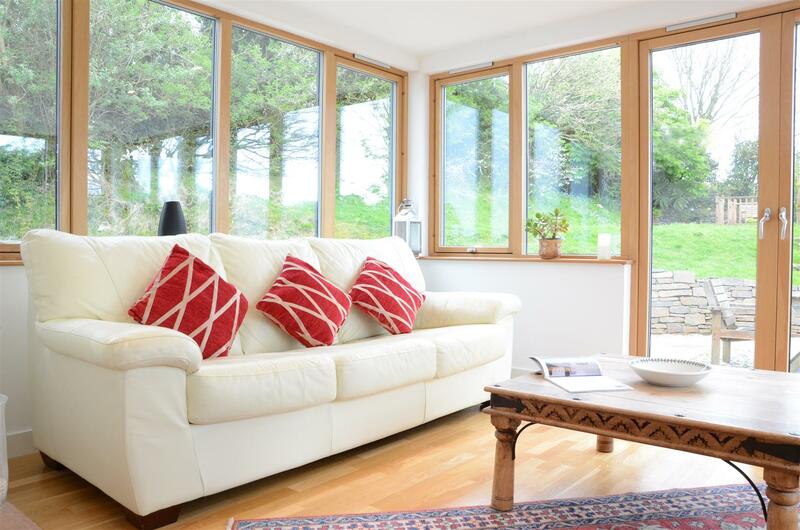 At the western and eastern ends of the ground floor are the more cosy sitting room and triple aspect sun room respectively and to the rear is the conservatory. 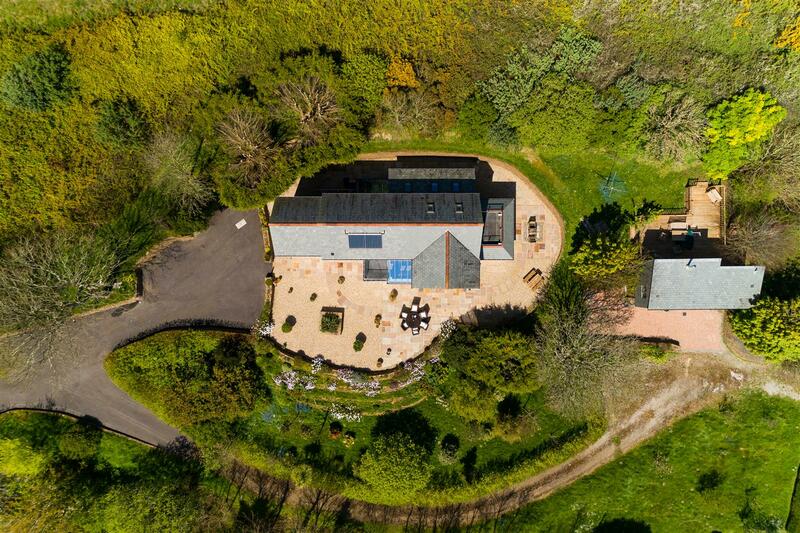 The finish throughout is of a very high quality and several state of the art facilities that includes the heating which is supplied via an eco friendly combination of ground source heat pump and solar power. 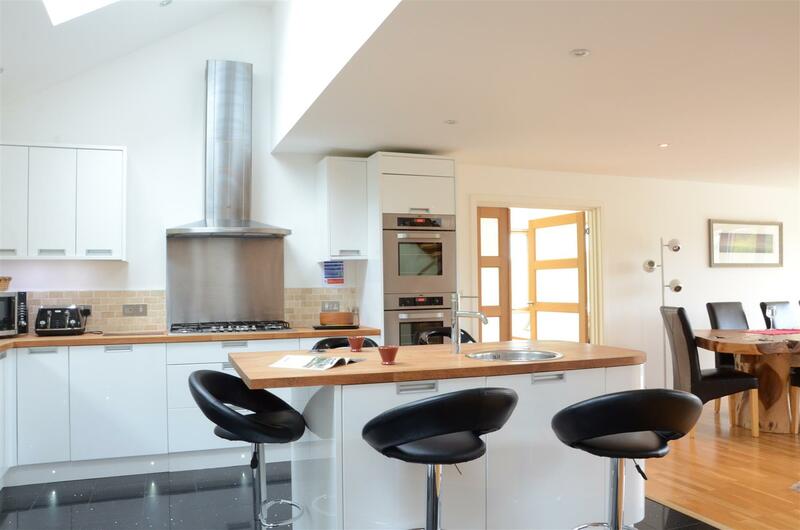 The kitchen is superbly finished and has a large central island. 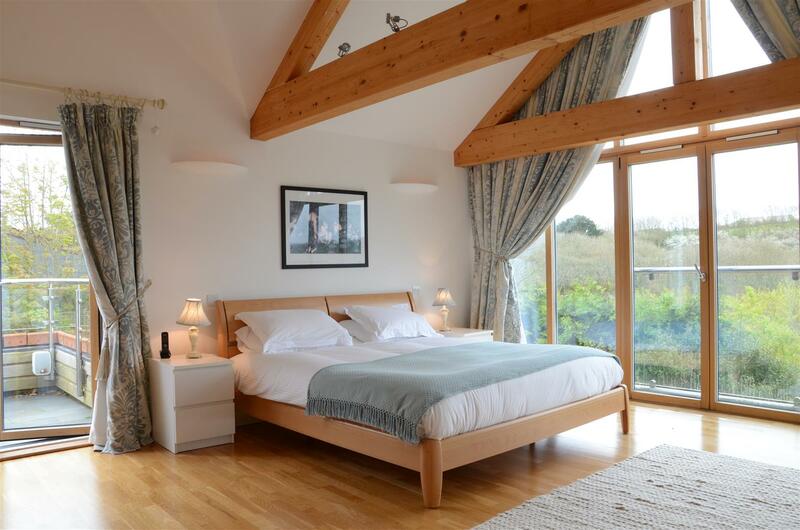 The luxuriously appointed en suite master bedroom features a fabulous vaulted ceiling and amazing views via its double height apex window and private balconies. 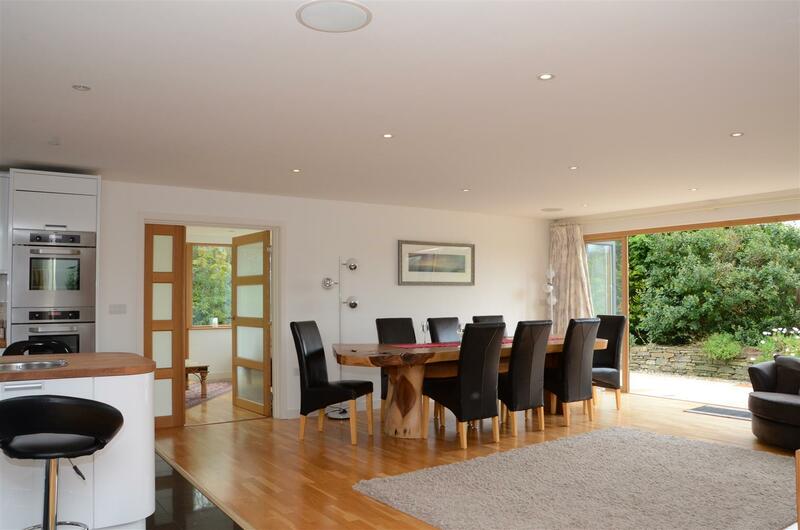 All four bedrooms have a luxurious feel and add flexibility to the layout as one is located on the ground floor. 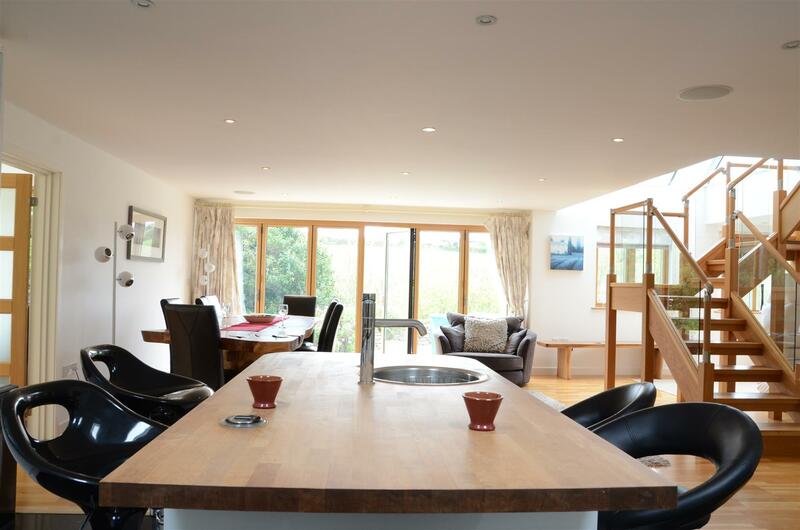 The detached self contained annexe offers additional accommodation for family or friends as well as income potential due to it having its own driveway access.